With 6 categories that cover everything from modern, to rustic, to traditional design, we have a lifestyle that fits you, your taste and your space. 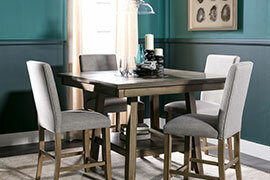 Curious to see how your favorite items will look in your space? Now, you can create a 3D image of your vision in under 5 minutes. 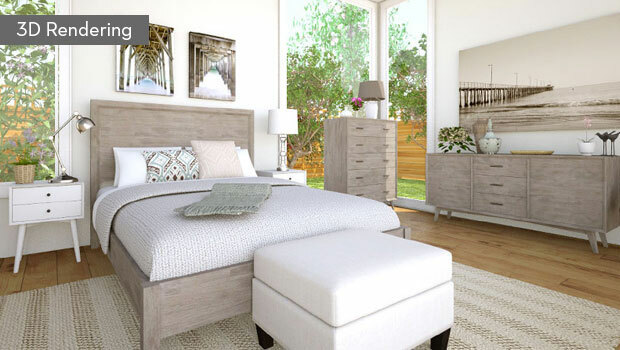 Our room designer tool is not only easy to use, it’s fun to experiment with. 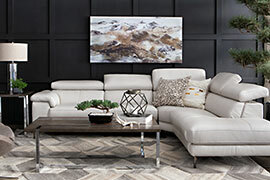 Much like fashion, there is a rhyme and reason to interior design. With a bit of research, designing your very own living room will be an engaging experience as you take a bland room and give it your personal touch. 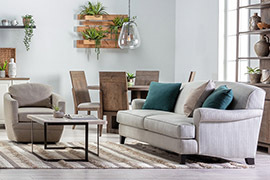 There are a number of time honored trends in home décors you can use as style guides as well, which we have categorized and created collections for your convenience. You don’t have to live by the ocean to feel like you live by the beach. 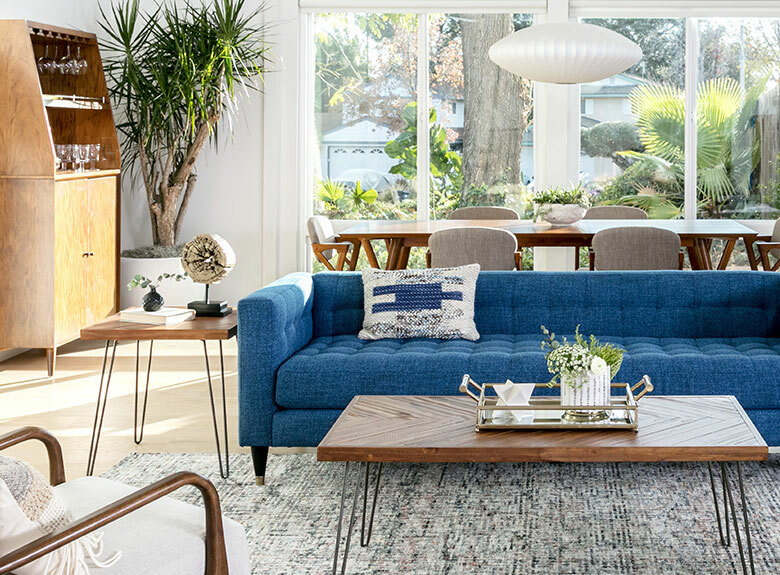 Coastal décor opens up your home décor using a toned-down palette of oceanic blues and sandy taupes to amplify the natural light coursing through thinly veiled windows. To achieve the cool, calm, easy, breezy feel of coastal décor, think sun-kissed and sea-worn furniture lightly accented with subtle cues to coastal living. 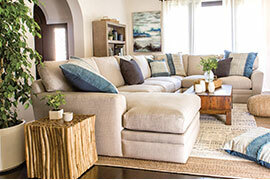 Browse through Living Spaces’ collection of coastal furniture for decorating ideas. Country living is the antithesis to the trending Smart Home era. 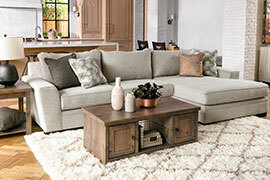 Warm earthy tones and milk painted finishes soften the seemingly bare bones complexion of country style furniture. Layer on the homespun calico fabrics and pick out a few wood-carved decorative accents to really give your home the country style feel you are trying to achieve. With the country style home décor, you want to pick furniture and accents that have character and seemingly get better with age. 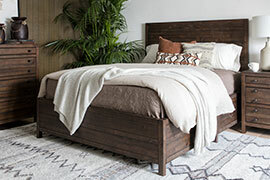 Bohemian décor goes by a design ethos of everything in your home having its own story. It is for those who live life outside the box and revel in a wanderlust of textures and patterns from all over the world. 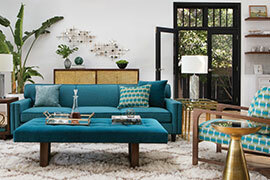 Bohemian home décor borrows from the full spectrum of colors to accent various styled furniture. 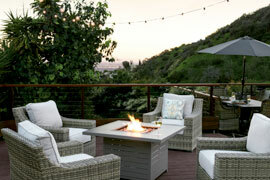 When brainstorming decorating ideas, think beyond function. 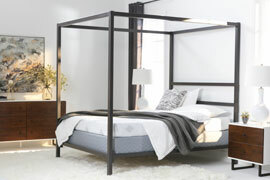 Strive to make each room configuration a conversation piece. Minimalism ― it is not so much a mindset of less being more as it is a commitment to ridding yourself of clutter. That means little to no layering, subtle to no textures, and most certainly no indulgence in vibrant colors. The raison d’etre of minimalist interior design is to create home décor that neither distracts nor detracts. It is a style that can be honed to place the spotlight solely on a particular piece of art or furniture in your every room. 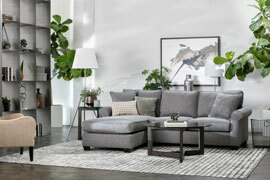 There is also the fact that minimalism is quite easy to clean and perfectly adaptable to small room décor. While browsing through Living Spaces’ collection of minimalist-inspired furniture, remember to take high contrast into consideration. 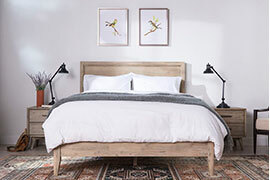 Typified by reclaimed timber and repurposed furniture, rustic home décor showcases nature’s raw beauty rather than distances itself from it with neutral colors and clean lines. It embraces the organic while not necessarily resisting contemporary construction methods and materials. 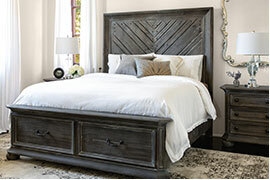 Sort through Living Spaces’ selection of artisanal furniture for rustic style decorating ideas. Mid Century Modern originally came to prominence as an alternative to the ornate aesthetic that typified early 20th century interior design. It is now widely recognized as Retro, which draws most of its inspiration from the futuristic musings of the 60s. 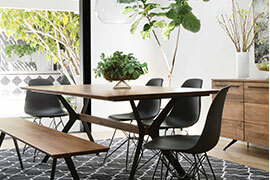 Stilted furniture with elongated features and clean lines, Mid Century Modern has a distinct look suited to even a small room décor. If you see your home as your castle, furnishing your home in the traditional style might be your motif. The ornamental nature of traditional furniture alone can give any room a palatial feel. With the proper configuration, a traditional home décor can even function as a sitting homage to various eras in history such as the Victorian or Tudor. 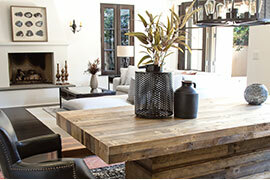 Solid construction of earthy toned wood also gives traditional style home décor a warmer, homier setting.